Unfortunately, commercial truck accidents remain a very serious public safety problem in Colorado. According to data from the Federal Motor Carrier Safety Administration (FMCSA), there are more than 2,000 large truck accidents in Colorado each year. In 2015, these crashes resulted in more than 800 injuries and, tragically, 69 reported fatalities. Truck accident victims are entitled to fair compensation from the negligent trucking company. However, in practice, this compensation can be very difficult to obtain. 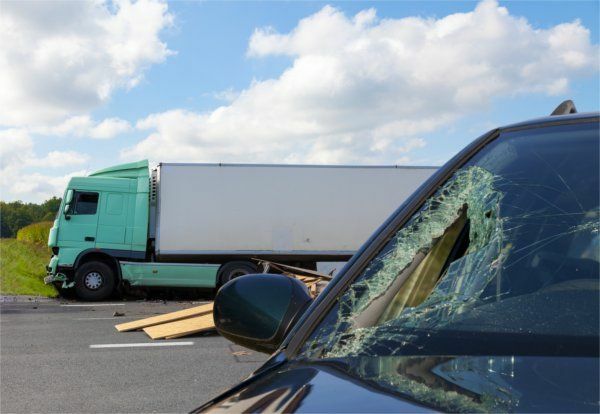 At Bloch & Chapleau, LLC, our experienced Colorado truck accident lawyers fight aggressively on behalf of injured victims. If you were hurt in a commercial truck crash, please reach out to our law firm for immediate legal assistance. Who Can Be Held Liable for a Commercial Truck Crash in Colorado? How Can Our Colorado Truck Accident Lawyers Help? If necessary, filing a strong truck accident injury lawsuit on your behalf. Were You Injured in a Colorado Truck Accident? Our team is here to help. At Bloch & Chapleau, LLC, we have extensive experience handling complex commercial truck accident claims. If you or a loved one was severely injured in a truck crash, our personal injury attorneys are ready to fight for your rights. To set up a review of your case, please call us today at (303) 331-1700 or (800) 813-0928. From our offices in Denver, Park Meadows and Vail Valley, we represent truck accident victims throughout Colorado, including in Jefferson County, Eagle County and Summit County.